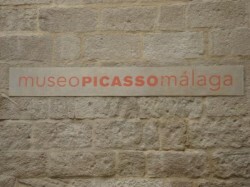 Malaga presents a new network of directional signs that gather all the city’s museums. The councillor of Economy and Tourism, Carolina España, introduced this cultural project of specific signposting this morning, christened as ‘Malaga, City of Museums’. “The aim of this new system is to reinforce a global and more homogeneous idea of this important tourist offer”, she added during the presentation, which took place in the museum Carmen Thyssen. This initiative is added to the pedestrian signposting network that already currently exists in Malaga city, and that will soon be improved once the contest for the renewal of hotel signs has been resolved. Both projects add up a total investment of almost 90.000 euros. Carolina España explained that this system will be used as a directory of the whole offer, defining the exact location with a brief description of each one of the museums. In total, 29 directory signs have been installed in the vicinity of the museums’ entrances. Each one of them provides the traveller with a brief description of each museum’s content, as well as opening hours and other useful information, at the same time that it shows the diversity of the offer on museums to awaken the interest of the potential visitors. “The Town hall of Malaga is very aware of the city’s valuable offer of museums, which is why they have been working on its national and international promotion, within their annual action plans, for quite some time now. In total, they have invested a total of 29.700 euros towards this project”, said Carolina España. The signs measure 1.70 x 0.40 x 0.10 metres and are exempt, for reduced spaces and without getting in the pedestrian’s way. 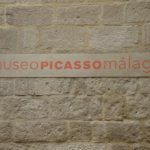 Each one of them includes the identification mark of the Malaga museums’ network and the name of the museum, followed by a brief description in three languages. Once the signs are installed, they will also include a QR code to enlarge the information about the museums, that will also be available in braille.